Update: 9/11: Since the original article was published, Rootless Pixel Launcher was removed from the Play Store. It is now available again, minus the Pixel Bridge companion, which must be sideloaded (below). When we talk about custom launchers, often people will mention the ones based on or similar to the Google Pixel Launcher. There’s Lawnchair, Lean Launcher, Rootless Pixel Launcher, Ruthless and more. 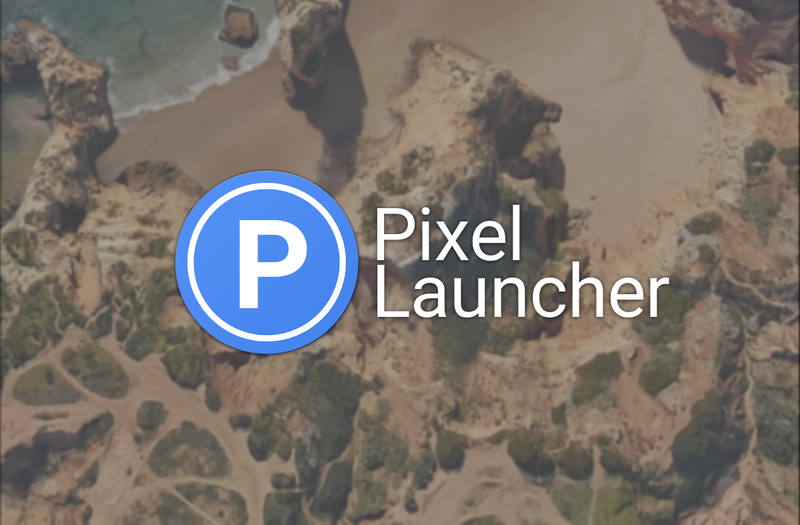 Rootless Pixel Launcher is an especially interesting one in that it’s based on Android’s open source Launcher3 and merged with decompiled Pixel Launcher sources. It’s developed by Amir Zaidi, who has been working on the project since the original Google Pixel released. Lean Launcher and an upcoming Lawnchair release actually already use it as a base and add their own features on top of it. In a sense, Rootless Pixel Launcher is simply a stable software base which other developers can take and add to. There is one downside to the way it does things though: It uses the Pixel Launcher’s original package name. This is so it can display the Google Now Panel and the “At a Glance” features without resorting to using any kind of companion application. That’s changing with Rootless Pixel Launcher 3.8 so it can be released on the Google Play Store. First, the Rootless Pixel Bridge is what allows this launcher to make its way over to the Google Play Store. It uses a similar method to what Nova Companion does, except Amir Zaidi tells me that it is compatible with any launcher. It’s completely open source as well so that developers can learn how to implement support for it into their own launcher. The install process is documented above—it really is that simple. All the Rootless Pixel Bridge does is act as a handshake forwarder so when Google makes changes to their API it should still work fine. The developer will just need to make changes to their launcher to accommodate those API changes. Rootless Pixel Launcher 3.8 is still based on Android Oreo, with a future release possibly planned with the release of Android 9.1. For now, there’s no real reason to go through the decompilation and deobfuscation process of Android Pie‘s Pixel Launcher. There aren’t enough new features to justify that process, so instead, we’re getting to see the Rootless Pixel Bridge and some other small changes and improvements. The Google Play Store link is down below. Be aware that you can’t import your old layout from previous versions and that you’ll have to reinstall. This is because of a change in the signing key to accommodate a Play Store release. Google Pixel users will also have to wait for the Magisk module to release for the Rootless Pixel Bridge. The Bridge acts like the Google Pixel launcher does to the Google App, which will conflict with the real Pixel Launcher on your device.